Obstacles. No single existence is devoid of hurdles to jump as they journey through their path in life and these encompasses all living things. The strength of a plant is predetermined from the state of its seed, thus even before we make our grand entry into this World, we possibly started our struggles right from the womb that bore us. These hurdles come in different forms and in various shapes and sizes. Some knock us so hard on our backside, flat on our faces or at the cusp of a precipice where we are left grasping for release from the clenching holds that threatens to suffocate us to death. Every human enjoys having a good sense of well-being and in the midst of these trials, a human can literally clutch at straws in the bid to stand upright. They either turn to the bottle, drugs or the Lord, seeking for strength. Severe depression and suicide are the end result of a life that finds no glimmer of hope at the end of the turbulence that they are passing through. At that point in time, it seems as if the demons that they battle overwhelms and the only way to end the torment would be to stop living. I have been in very deep pits. I have battled mental health, mental torture, and depression. There have been points in my life where the misery that permeated every pore of me was a living, breathing pain. One of the instances, I would briefly share for now is when I lost my pre-term child. Please believe me when I say that the pain is beyond words. I carried this beautiful being inside me, but for some reason that I don’t know, I left the hospital after hours of horrendous labour with empty hands. Fortunately, I have no head for drinks, no penny for drugs and never felt suicidal. I clung to the Cross and to writing. With every fibre in me, I held on and my husband held me. God, family, friends, books and writing, have been my greatest support. When I am crossing one of my many rivers, I look up above, I look around me and I look forward. Life is a constant battlefield in our minds and except we personally buffer ourselves and wage an onslaught to find peace, we remain subjugated by these trials. What I have learnt over the years is not to wait for the boat to get rocked, but to be mentally prepared to steer the boat as it rocks, so that I don’t capsize. A couple of books that helped me when I struggled through these obstacles are, The battlefield of the mind, Your best life begins each morning, Purpose driven life, Women Of Faith Bible and lots more. Writing my own books has been a challenge of doubt, of wondering if I am good enough. Of constantly questioning myself about who would want to be bothered to read my words when there are billions of books out there, but you know what, I said to myself, Jacqueline, you may not get it right, you may not be the best out there, but my girl, you are definitely more than good enough. So that’s another hurdle jumped. Publishing my first poetry book is a positive affirmation that indeed, I might stumble in my quest but instead of the obstacles making me fall behind, they will cause me to stumble forward and give me some fulfilment. Buying my book will go a long way to support me and clicking to purchase from any of those links will possibly earn me a commission of a few cents, but this is yet another curve in my journey. Finding ways to break through the obstacle and earn from the sweat of my brow. 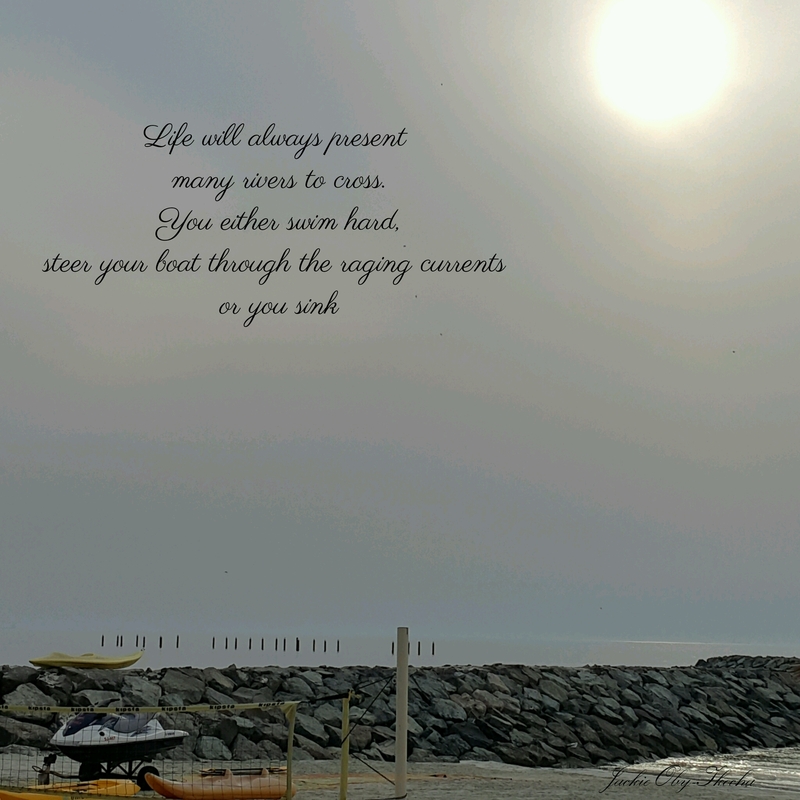 ← The Compass Of Your Life..Guest post from Alicia James. I’m glad you’re still standing my overcoming friend. :0) I expect God to accomplish many good works through you. Love you. Amen. Thank you so much Pam and bless you. I think I must have forgotten to mention but I am hosting a blog party right now just in case you want to drop in and leave your link. I am so sorry to hear the sorrows you have endured Jacqueline. You are a shining example of inner strength, resilience and determination. I admire how hard you have worked as a blogger and writer, with your recent achievement of 1000 posts and now your self-published book. Congratulations! Thank you – you are an inspiration to me. Aww Lady Cee, my appreciations for your kind words. I really appreciate them and it means a lot to me to know that I inspire you. Sometimes, life hands out very difficult pills to swallow, but we chug it down and keep marching. Not easy at all but the alternative to not marching forward is worse. Absolutely. May God’s grace continue to be with you as you go from strength to strength and from achievement to further achievements. You are one of the toughest ladies I now. You have not let any obstacle put you down. That is why I say you’ve only just begun. The universe is your limit. Sir Romanus, this is very high praise indeed. Bless you for these words that proceeds from your mouth. I deeply appreciate them. Thank you. So stinkin’ proud of you…I can’t say that enough. My heart breaks for your loss. Your strength and determination has helped you get this far. From where I sit, I see great things in your future. Losing a child , more so after labor, that is PAIN. I am glad that you are alive to tell the story the way you did. It was not a wish that I would grant anyone, but I guess walking through fire refines us. Thank you Joan. We are told in the Bible that Jesus was tempted as we are tempted; therefore, we are encouraged to know that we can overcome as He overcame. It is helpful to your readers to know that you have seen many of the same struggles that they have and you were an overcomer. May that knowledge be of benefit in the marketing of your book. You don’t just talk the walk, you also walk the talk. Congratulations on having reached this goal.